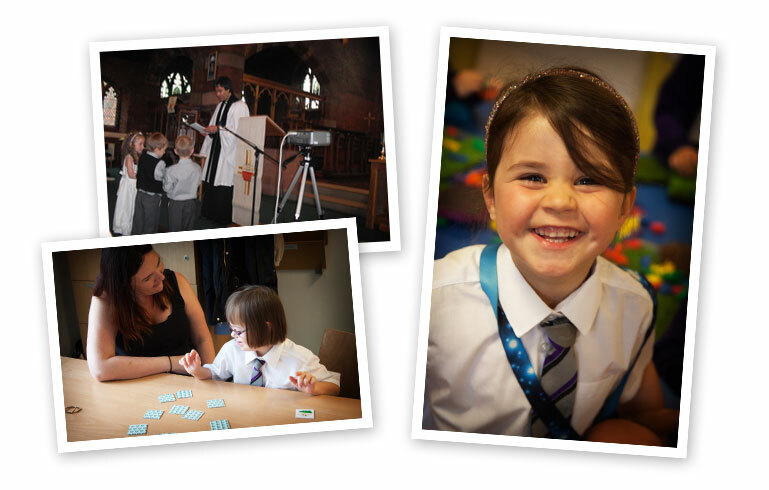 As a Church of England School spiritual and moral development of children runs throughout everything we do. We have a distinctive character where Christian values such as love, honesty and respect are promoted in all aspects of school life. We encourage all members of the school community to promote a Christian ethos where care and respect is shown to everyone. As a Church school there are strong links with St. Catherine’s church. Rev’d Behrend leads Worship several times each term and other members of the church visit regularly to support the school and the learning of the children. The children visit St. Catherine’s church for the major Christian festivals of Christmas, Mothers’ Day, Easter and Harvest. The children show their love and respect for each other and the local community in many ways – for example at Easter our eldest children deliver flowers to all of the residents of the sheltered housing on Greenstone Avenue.